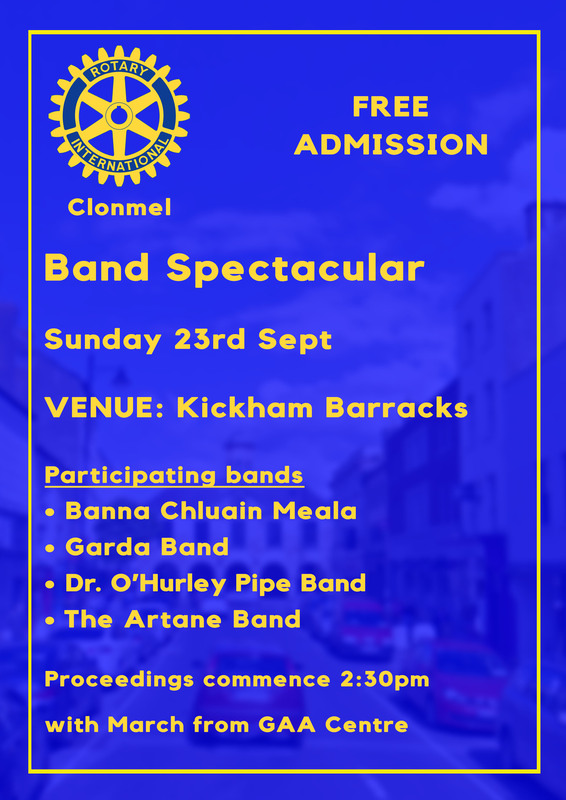 Rotary International, Clonmel present a band spectacular at Kickham Barracks, Clonmel on Sunday, 23rd Sept. Participating Bands; Banna Chluain Meala, Garda Band, Dr. O'Hurley Pipe Band, The Artane Band. Proceedings commence at 2.30pm with march from GAA Centre.